home .Featured, Knowledge, Teaching, and Communication Ed Yong Contains Multitudes and So Do You. The Videos. Part 1. Termites. Ed Yong Contains Multitudes and So Do You. The Videos. Part 1. Termites. Well, I am definitely biased but I think this is really really good and worth a look. This is the first in a series of videos based on Ed Yong’s “I Contain Multitudes” book. Brought to you by HHMI Tangled Banks Studios, this one is about animal digestion and the role microbes play in it with a focus on termites. Oh – and for full disclosure, I have been a scientific advisor for the production of these videos (along with Jack Gilbert and Nancy Moran). I love Ed Yong’s book on microbes. 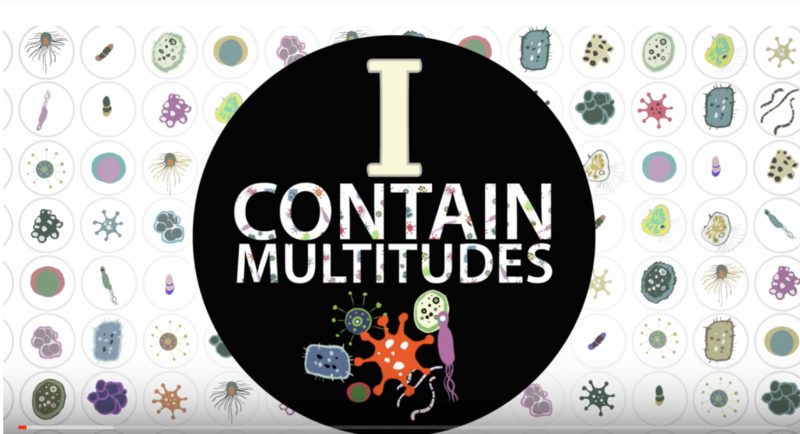 I developed a non-majors course called ‘Science and Human Values’ that explores our relationship to microbes. We define microbes very broadly to include “all things small” (viruses and viroids and prions are covered a bit as well under this blanket. I am a plant population ecologist/geneticist by training!) We read and discuss everything from the history of infectious diseases, Albert Camus’ The Plague, key readings leading up to and including Darwin’s On the Origin of Species, horizontal gene transfer, biofilms, fermentation (with readings from Michael Pollan’s book, Cooked), and Ed Yong’s I Contain Multitudes. I had been using Martin Blaser’s Missing Microbes book, which my non-science majors really liked (but I found to be a one-trick pony). I adopted Ed Yong’s book as soon as it came out. I love his writing; it is so well structured and “visual” that it also helps me teach students how to read technical information. I’m excited to see his work in video format to reach a broader audience.